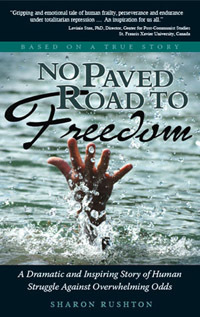 No Paved Road to Freedom is a gripping and emotional story that humanizes the impact of communist occupation in Romania after World War II. It is relevant, it inspires, and it reminds us that freedom is precious. Based on a true story, it documents the extraordinary courage of Cornel Dolana and his family as they pay an incredible price for resisting communism. Cornel makes up his mind to escape the oppression and uses his ingenuity to put his plan in place. His fortitude keeps him moving toward his goal, despite enduring enormous setbacks, brutality, and extreme outdoor elements that few humans could survive. We offer price breaks for different quantities. If your group is interested in taking advantage of this please contact us.